The Pound Euro (GBP/EUR) exchange rate is rangebound today and is currently trading around €1.303 on the inter-bank market. The Pound (GBP) remained steady against the Euro (EUR) this morning after Prime Minister Theresa May survived last night’s vote of no-confidence in the government, although this was by a majority of just 19. Today will see May engage in further cross-party talks to formulate an alternative Brexit plan, however these have been hindered slightly by Labour leader Jeremy Corbyn demanding that a no-deal Brexit be taken off the table, angering some Conservative MPs. 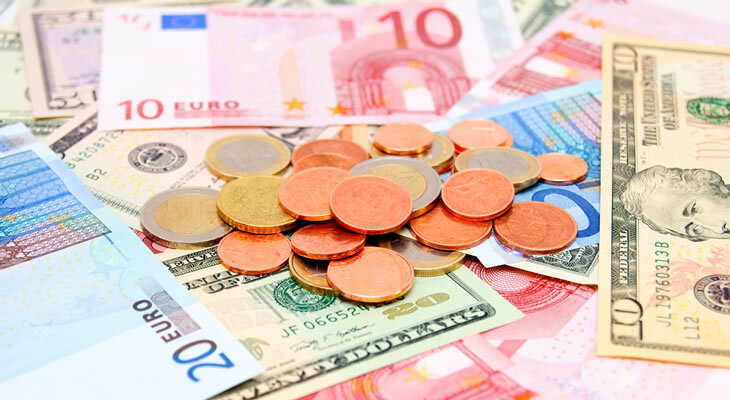 The Euro failed to gain on the Pound today after the publication of the Eurozone’s yearly Core Consumer Price Index for December remained steady at 1%, offering little support for the single currency. Both Euro and Pound traders have been buoyed by the fact that Theresa May has not categorically ruled out an extension to Article 50 in tandem with a reportedly sympathetic EU, which could see the Brexit leaving date extended beyond 29 March. The Pound was left unmoved despite UK inflation hitting its lowest level in nearly two years yesterday, with the publication of the yearly UK Consumer Price Index for December slipping to 2.1% against the previous month’s 2.3%. The GBP/EUR exchange rate is, however, under increasing pressure as traders remain apprehensive over the next Brexit ‘move’, with Michel Barnier, the European Chief Negotiator for Brexit, saying he is willing to renegotiate the deal if Theresa May moves her ‘red lines’. Pound (GBP) investors will be looking ahead to tomorrow’s publication of the UK retail sales figures for December, which are however expected to decrease by -0.8%, which could see Sterling weaken against the Euro (EUR). Euro traders, meanwhile, will be looking ahead to Monday next week which will see the publication of Germany’s PPI figures for December, with any signs bullishness increasing the upside potential of the EUR/GBP exchange rate. However, the GBP/EUR exchange rate will be heavily affected by May’s Brexit plan; with only until 21 January – Monday – to deliver a new deal to Parliament, any signs of further divisions could dampen confidence in the Pound for the coming week.